1837 - A small group of believers met in Grandma Sampsells home to organize what was the beginning of our present church. For 21 years, these seven or eight families met in homes, with circuit riders serving as ministers. 1857 - They decided to build a church, which was known as the Basswood Church, built on the corner of Main and Madison Streets, where Kirwens Market now stands. This was a building 25 feet by 35 feet with a partition down the center to separate the men from the women. The actual cash outlay to build the Church was only $36. There were 18 members when the church opened. Family names were: Biddle, Kemmerling, Sampsell, Suetter, Thomas, and Yeasting. The Basswood Church was used for 16 years, until a much larger wood frame Church was built (around 1873) on the corner of Stone & Webster streets. This building was used until the present Church was built. 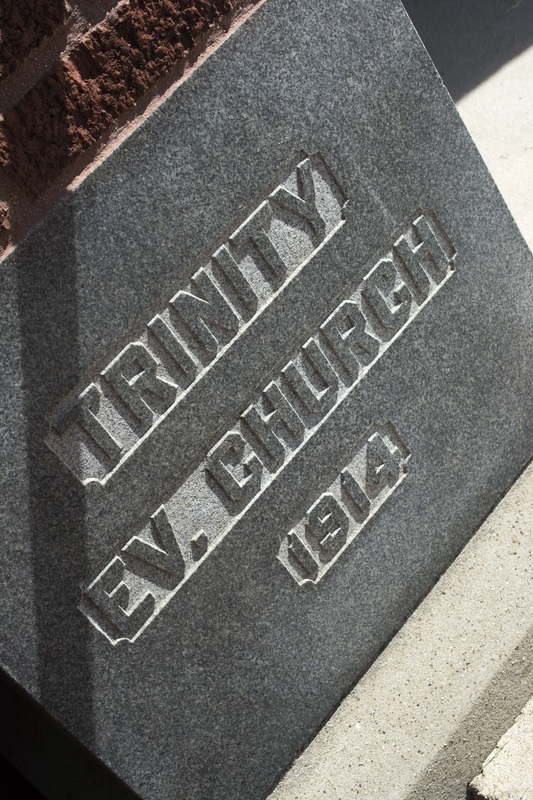 ​1914-1915 - The present Church was built, and it was dedicated on May 15, 1915. The first parsonage was just behind the Church. It was bought shortly before the Church was built in1914. 1958 - The parsonage was moved one block north, down Hurlbut and across the street to make room for the present Fellowship Hall and educational unit (which was built in 1958, and dedicated on February 1, 1959. 1964 - The present parsonage was built on 846 Ludwig Avenue. It was dedicated in November, 1964. 1973 - The Sanctuary of the Church was refinished and redecorated. A center Isle was established, the center pulpit was moved, new carpet was put down, and new padded pews were installed. 1987 - We had a church directory published in celebration of 150 years as a Church. We are the oldest congregation in Gibsonburg, and one of the oldest in Sandusky County. 2008 - We are "Bursting Open!" A Three Phase project is in the planning stages to expand and renovate many areas of the church. From The Book of Discipline of The United Methodist Church - 2008.